Motor powered set works for accrate saw wheel elevation. Digital position controllers permit accurate saw wheels height positioning. 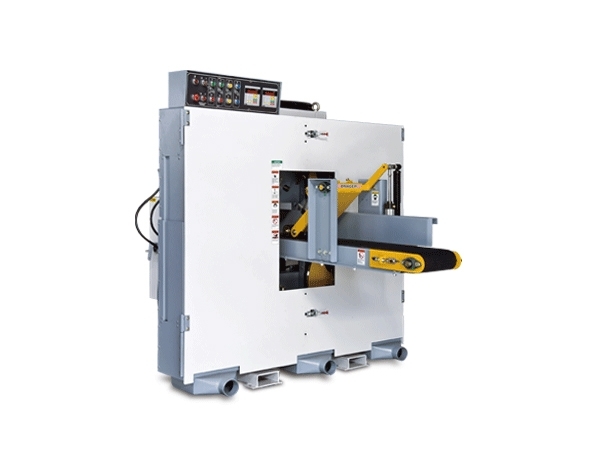 Automatic blade tension is controlled by hydraulic cylinder.